Though there are many messaging apps like WhatsApp and Telegram, for iOS users, perhaps iMessage is still the favorite one. However, iMessage only works on Apple devices. For those non-Apple users who also want to enjoy iMessage with his friends, it’s a tough task to have iMessage on hand. 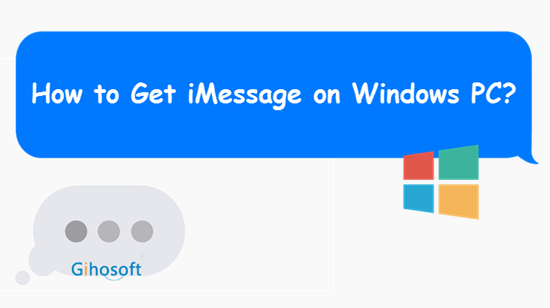 So if you want to get iMessage on Windows PC, maybe you need the following tricks. There are not many methods still useful after iMessage latest updated. Using Chrome Remote Desktop extension is the simplest way to get iMessage for Windows, but you need to have a Mac. Step 1: Install Google Chrome and Chrome Remote Desktop extension on both your Mac and your Windows PC . Step 2: Launch the app on both of your computer, and click “Get Started” under “My Computer”. 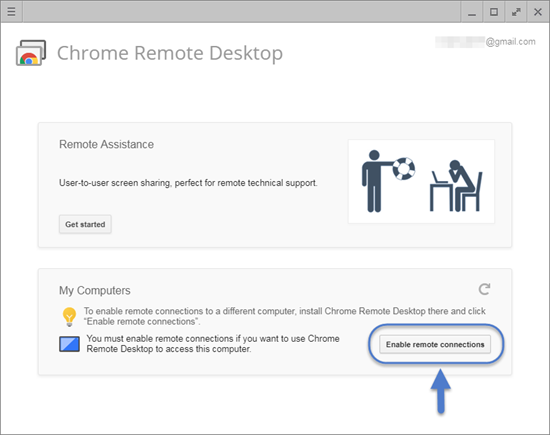 Step 3: On your Mac click on “Enable Remote Connection”, then download Chrome Remote Desktop Host Installer. Step 4: Open the installer and follow onscreen instructions to finish installation. Then you can remotely connect two computers and enjoy iMessage on Windows PC. If you don’t have a Mac, then you can choose to install an iOS emulator on the Windows computer. IOS emulators are third-party software creating a virtual iOS ecosystem on Windows or Linux computer for using iOS apps. But please be careful while using these emulators, they would probably bring some unwanted software or malware to your computer. After finishing the installation of emulator, you can use iMessage on computer as you want. Apart from using iMessage on PC, there are many easy ways to view iMessage history on computer, and one of them is to using Gihosoft iPhone Data Recovery. 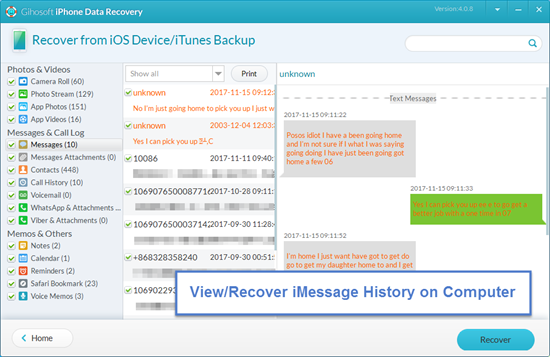 This software allows you freely view all your iMessage logs on iPhone or iPad, and it also can help you recover lost or deleted iMessage from any iOS devices.